Does Your Website Need Regular Updates? | ReferLinks Online Marketing Does Your Website Need Regular Updates? Does Your Website Need Regular Updates? If you think of it, there is hardly any business nowadays that does not have its very own website. But just because a company has a website, does that automatically mean it’s going to be a really effective one and bring success? Given the speed technology evolves, it may not be that easy to figure out when your company website needs a makeover. In fact, not many business owners know that their website needs a tune up every once in a while? First of all, we now live in the digital age. A lot of people feel that they cannot trust a company that has a lackluster online presence. While a modern website may not be the sole representation of a business all the time, you cannot deny the fact that first impressions do last. And for a lot of potential customers, especially the younger ones, not being impressed with a website can mean trouble for your business. How do you know that it’s time to update your website? Every change that your company makes should be reflected in your website, whether it’s a big or small change. If you have a new contact number, update! Your product has new packaging? Update the pictures on your website! Do you remember how you got frustrated with some websites that were quite difficult to navigate? You most probably just ended up leaving the site. Your website’s visitors don’t have the time to figure out a complicated website. So if your website is still a bit challenging to navigate, it’s time to update it. Remember to keep it simple and easy to use. Needless to say, websites from the ‘90s look a lot different from the websites of today. If your website looks like it’s from a decade long gone, you should definitely consider an update! It is very important that people can see sharing buttons for Twitter, Facebook, and other social media in your website. You can keep the button icons in your website header. Doing so will allow traffic to access your social media platforms easily from any page in your website. If you don’t have social media sharing buttons or if you still don’t know what they are, you seriously need to take some time to consider if your online marketing efforts need an overhaul! If a client hears about your brand while they are on the road and he decides to check out your website on his smartphone, will he be able to do so with ease? Most people are now conducting their business using their smartphones or tablets while they are on the go. It’s a shame if you have to lose prospective customers because your website is not mobile-friendly. If you can’t remember the last time you updated your website, that’s a big sign that you need one ASAP! Your website is a big part of your business. Don’t have one just for the sake of having one. If you want your website to do wonders for your company, do your part, too! 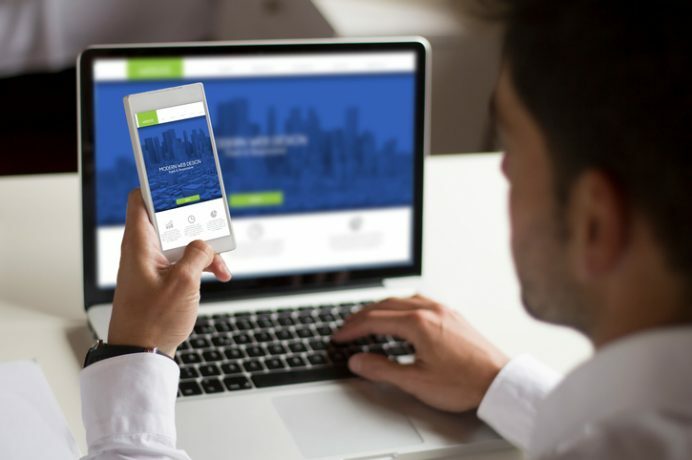 Contact ReferLinks Online Marketing and we’ll help make sure that your website is updated when it’s needed and when it will benefit you the most! This entry was posted in Analytics, Conversion, Web Design Services, Web Development Services, Website and tagged updated websites,Web Design,Website Design,websites on November 21, 2017 by ReferLinks Online Marketing.